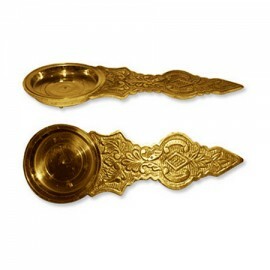 Diya made of brass are permanent fixtures in homes and temples. 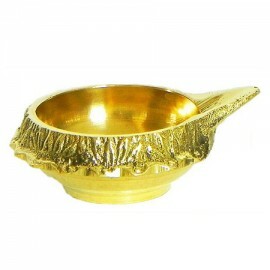 Diyas are native to India, and are o..
Aarti Pooja Deepak (Ek Mukhi Diya) is a one-faced diya made of brass. 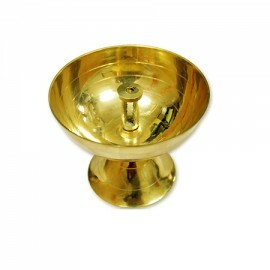 This diya is ideal for p..
A beautiful carved Ancient Oil Lamp in Brass. The flame of a lamp always burns upwards and simila.. 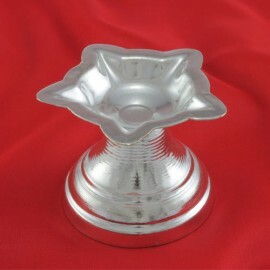 Artistic beautiful pooja diya in the shape of fully blossom lotus flower. Oil lamps are commonly .. 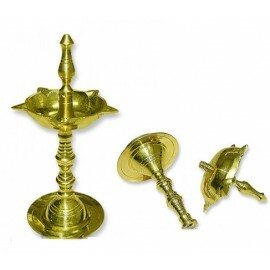 This Artistic Samai oil lamp for every pooja can lit five wicks together and has a holder in th.. 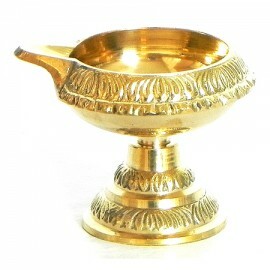 This Camphor Aarti lamp is thus a most unique and an intrinsic part of our devotion toward the God. .. 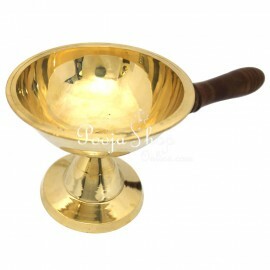 The Camphor Aura Lamp is a special diya, which is primarily very effective for cleansing the aura of.. 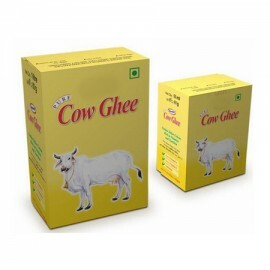 The practice of lighting dhoop before a deity goes back to the Vedic period. This practice involves .. 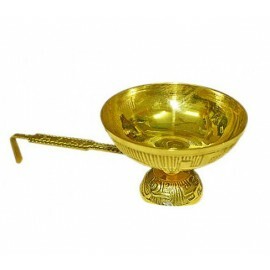 The Kuber diya lamp would fill the place with extra ordinary vibrations, giving fulfillment in the p..
Dhoop Aarti Lamp is used to burn dhoop that purifies the atmosphere Dhoop diya lit as a pooja offeri.. 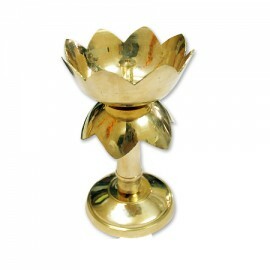 Very artistic Diya made of brass with glossy finish. Beautifully designed, it is wind-proof, and has.. 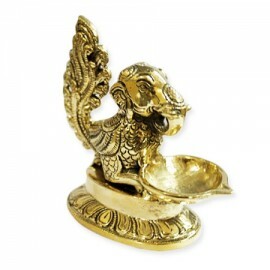 This is an artistic made elephant diya in brass, which is considered extremely holy when it comes to..
Kapus Vastra (or Kapas Vastra) means cotton cloth. 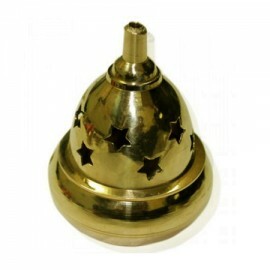 It is a series of small round cotton beads att..
A beautiful Lotus Flower Diya oil lamp in brass The flame of a lamp always burns upwards and simi..
Mahalakshmi Dhoop Aarti Lamp is used to burn dhoop that purifies the atmosphere. 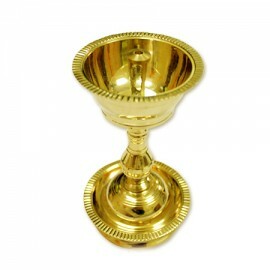 Dhoop diya lit as a.. 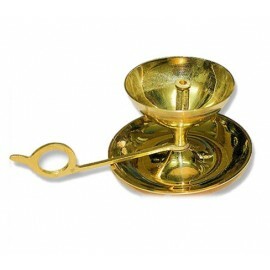 Very beautifully designed Diya made of brass with glossy finish. 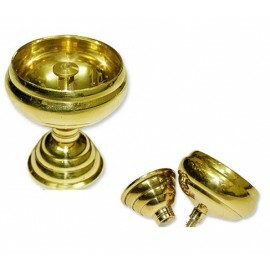 Artistically made, it is wind-proof..
Oil lamps are an integral part of every pooja ritual, yagna and Homa. 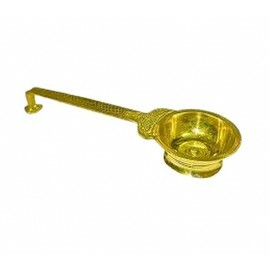 Aarti, all devotees take ..
Panch Aarti Lamp is a beautiful diya made of brass. 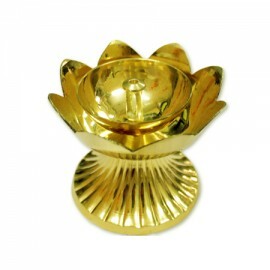 An artistically designed, Panch Aarti Deepak wit..
Panch Mukhi Lamp (Panch Mukhi Diya or Deepak) is a five-faced diya made of brass. 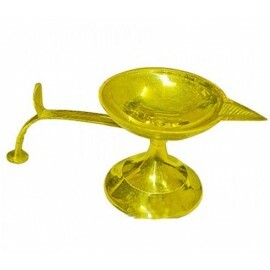 This diya is ideal.. 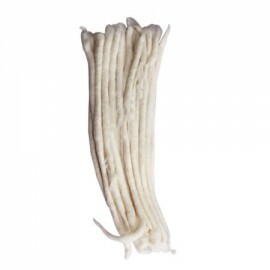 Round Cotton Wicks made up of soft white cotton. They are 100% natural. 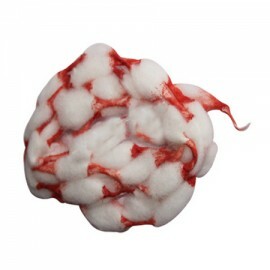 Ready-to-use cotton balls ca.. This artistic Pakeeza diya. 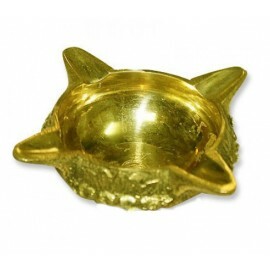 This diya is widely used in pooja, Yagna and Homa ceremo..
Shahi Cup Diya Invite peace, prosperity and wealth into your home and office. The flame of a.. 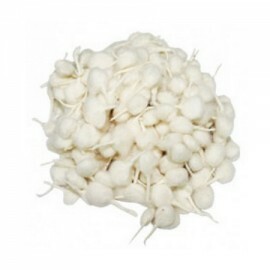 This specially designed Vaastu diya can be used to lit four wicks simulatenously thus covering the f..